Whether anyone wants to admit it, our teenage years are some of the most impressionable. From staying out past your curfew pulling pranks, to chasing your high school crush, that point in time represents the first sense of freedom for a lot of people. Naturally, the cars driven during those times hold a special place in the hearts for many people…well at least the ones they wanted to drive. 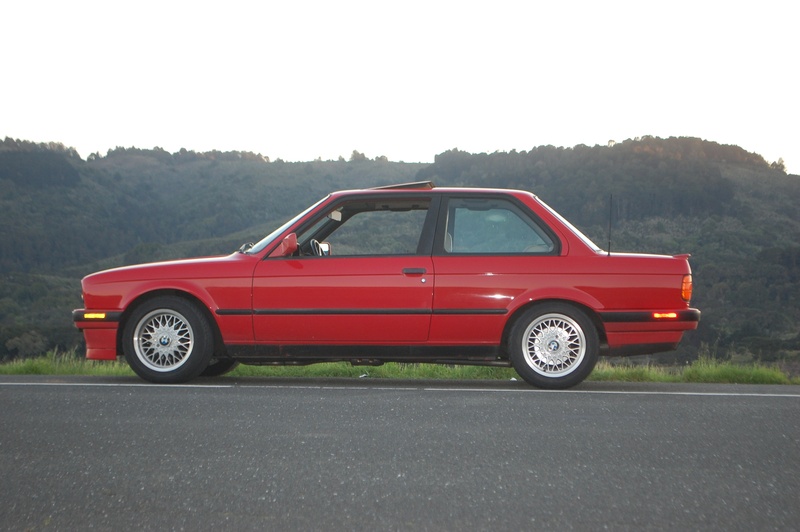 I am no different in that regard; My first car was a red 1991 BMW 325ix and it was the best thing since sliced bread as far as I was concenred. Then like most teenagers, I thought I was the world’s best driver and plowed the car into a guardrail. And so was the end of my first car. Seven years, a college degree, and a full time job later, I was on the hunt for a piece of nostalgia. 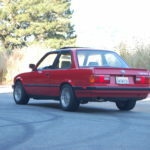 Honestly, any signs of the R-word were reason enough to walk away, but I was impulsive and just wanted another red e30, so all my rules of car buying were tossed out the window. Oops. 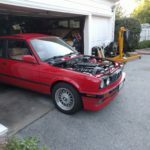 Having been around the e30 3-series since I was 16 years old, I’ve learned virtually anything and everything there is to know about these cars. 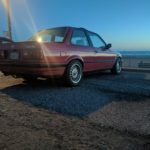 I’ve helped many people search for good examples in that time, so I had a good sense as to which cars were worth restoring, and which cars to walk away from. 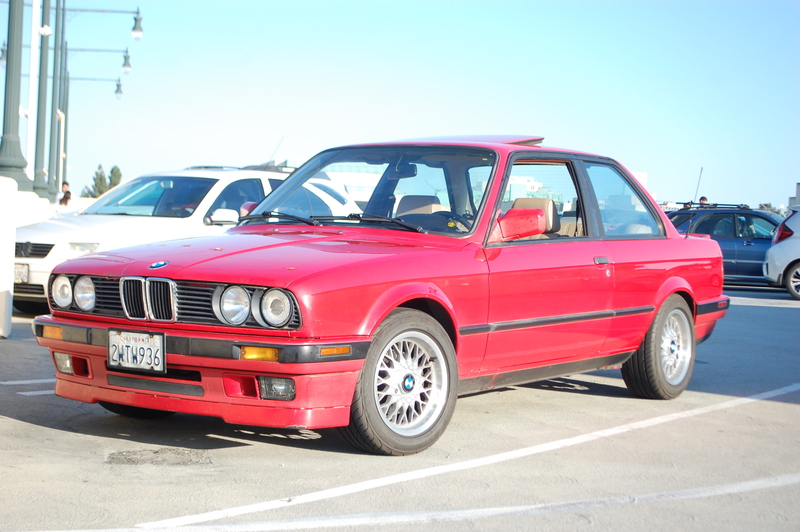 In May of 2015, I was on the hunt for another e30. 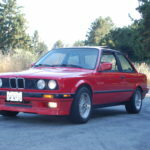 Ideally I wanted a 325i coupe, but wouldn’t discount a clean 318is. 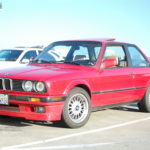 One Sunday morning I was browsing the infamous Craigslist when I came across an ad for a “1991 BMW 318is.” The few pictures of the car showed it to be a mostly original car with 136k miles. The paint looked a bit flat, but I knew it could be buffed out. 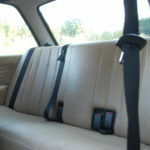 I got in contact with the owner and was on my way to the Sunset District to see the car. 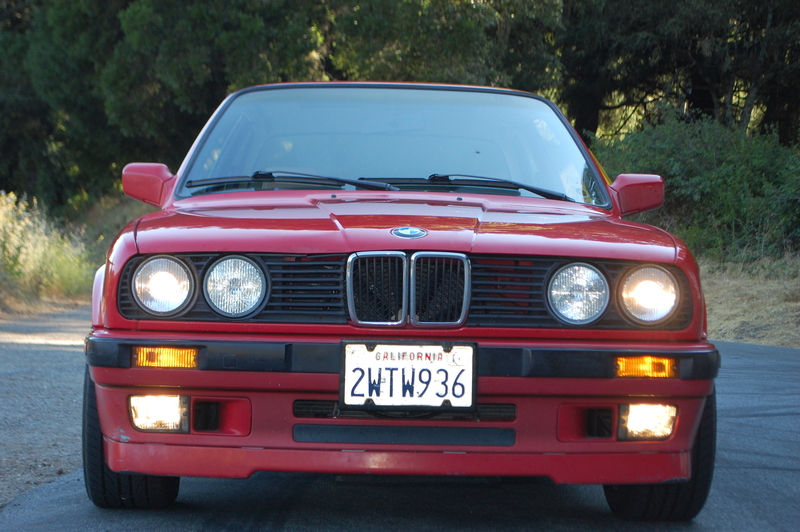 US Ellipsoids and fog light retrofit are a subtle way to clean up the front end. The tire marks weren’t me. Not too low, but great for a daily driver. The car was located a few blocks from the Great Highway, so the salt filled air had faded the Brilliantrot paint into a sassy shade of pink. 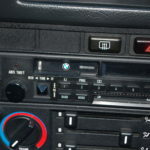 I immediately noticed the radio antenna opening had been butchered from someone trying to install an aftermarket unit, rusting the sheet metal in the process. I made a mental note and proceeded to meet the owner for a test drive. 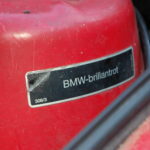 The lady selling “Little Red” was the second owner, with the original being her boss until he sold it to her in 2002. 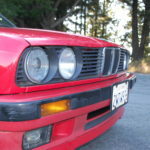 As the old “2” license plate would indicate, the car had lived in California (the Bay Area specifically) its whole life. After a short test drive, I talked the $4500 asking price down to $3800 on the basis that I check with a body shop about the rust. 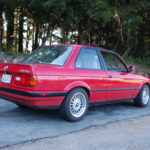 Honestly, any signs of the R-word were reason enough to walk away, but I was impulsive and just wanted another red e30, so all my rules of car buying were tossed out the window. Oops. The body shop told me they could fix the rust no problem, so I phoned up the owner and said I’d take it. The next day I dragged Wesley with me to pick up the car and sign the paper work. 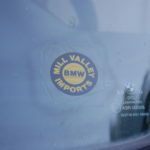 I don’t think the lady selling the car really wanted to get rid of it, as she was quite sad to see it go. More importantly, she didn’t want to give me the stack of receipts showing the car’s service history as they were a souvenir of her ownership. Before Wes and I were about to head home, she did tell me, “You seem like the right person for this car.” Wes chuckled. 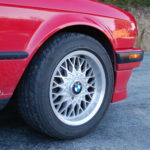 Ronal LS wheels have just the right amount of dish. 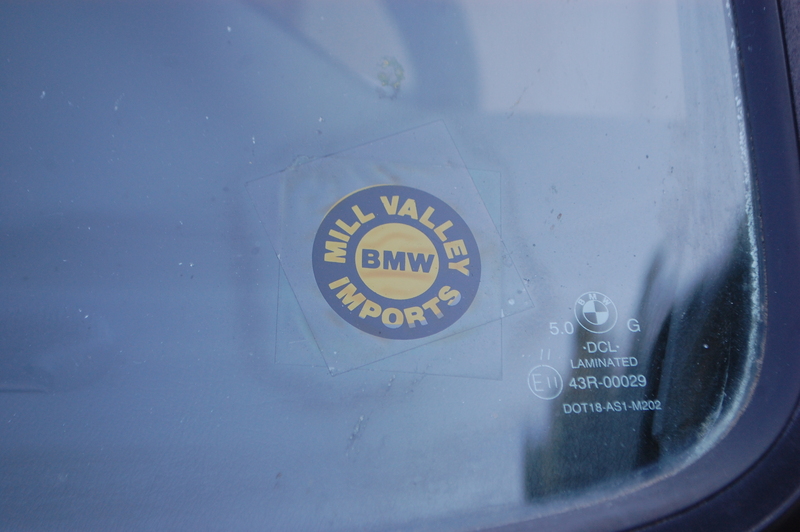 The car was sold new in the North Bay, so it’s been a local car the entire time. 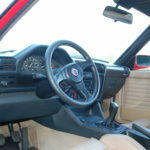 A simple cluster with a fuel gauge that likes to “add” gasoline as you drive. Stock Radio! 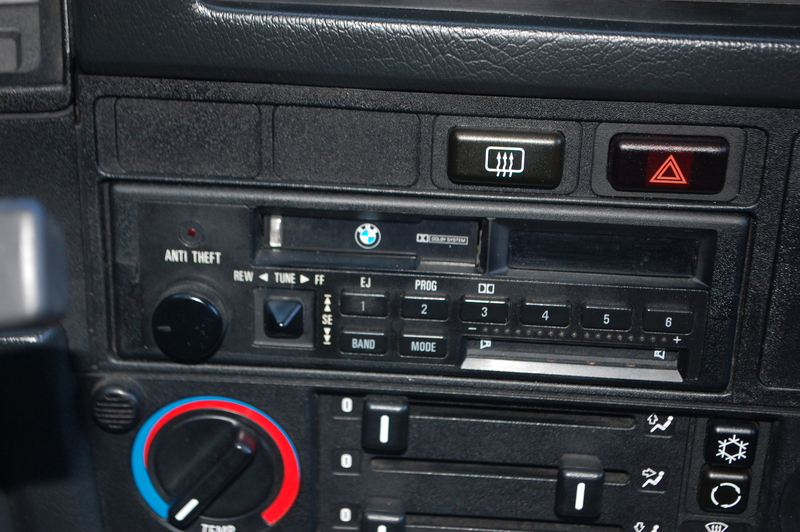 Don’t worry, I still have my cassette adapter. 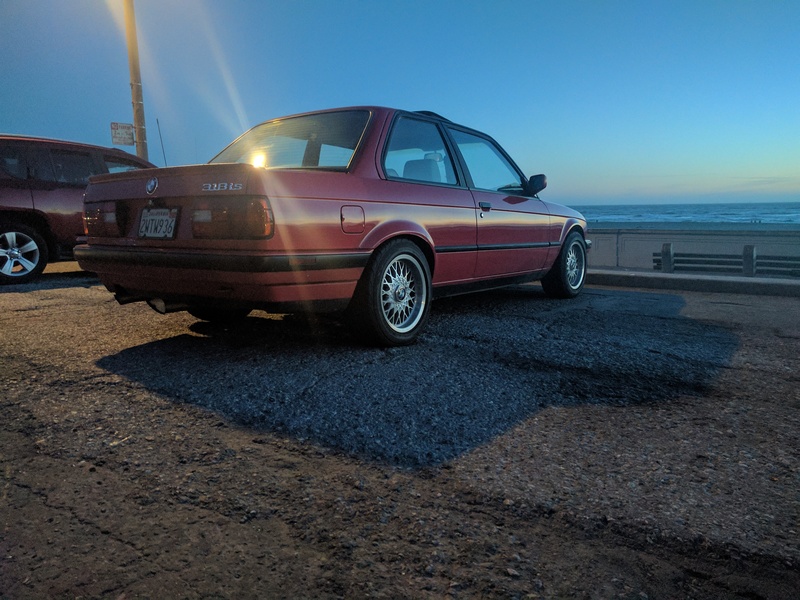 A few months went by and I didn’t really do much to the car aside from drive it as a beater. However, torrential rain storms kept filling the trunk with water due to the hacked up antenna opening, so it was time to stop being lazy and get the rust taken care of. 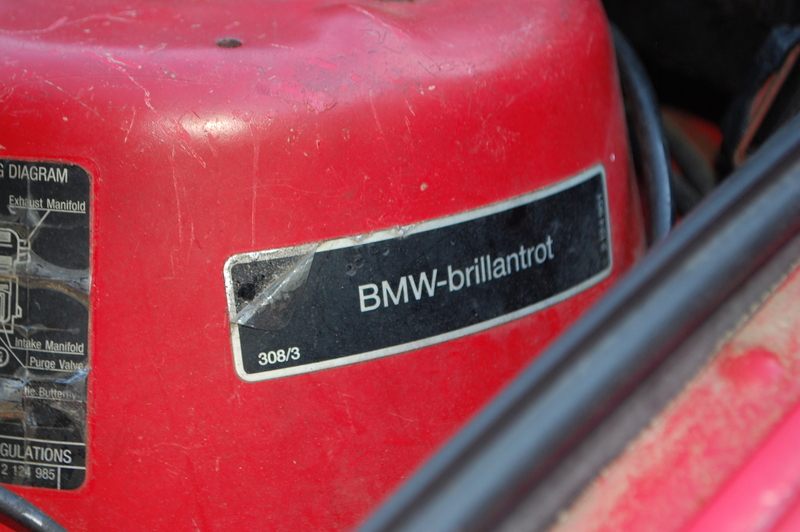 A two week visit to the body shop and the car was finally rid of the iron oxide cancer. 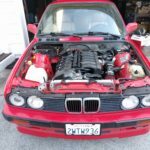 I could either fix the four-banger, or swap to a 2.5 liter e36 six pot that Team Atkinson had lying around. 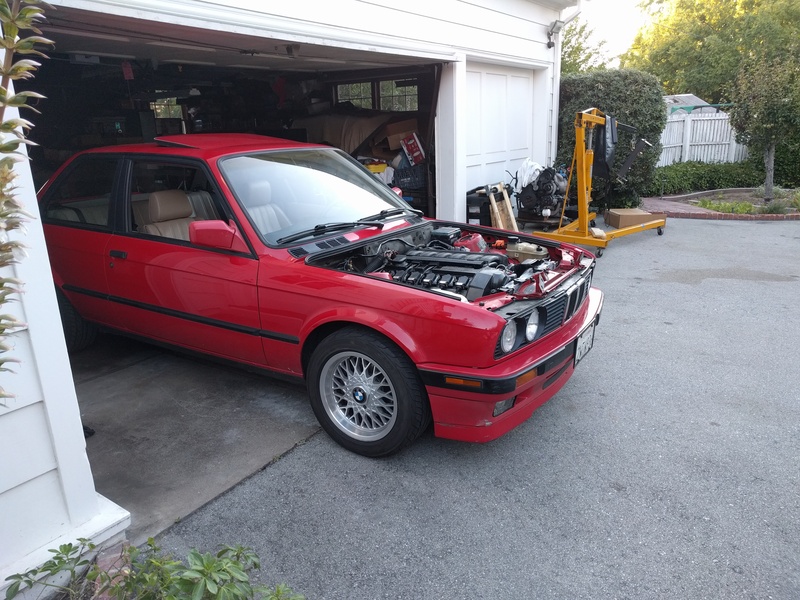 Normally an engine conversion would cost a lot more than fixing the m42, but a free drivetrain meant I just had to replace some gaskets and a clutch. Succumbing to peer pressure, I decided to swap the car. Buttoning up some bits on the 24v, one being that heavy panel that sits on top of it. The intake cannon adds at least 50 horsepower! In case you didn’t notice, the car is red. 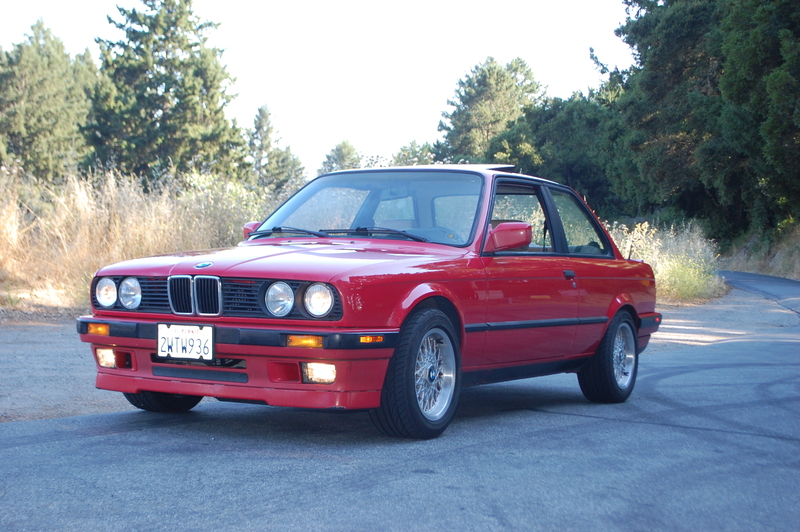 The swap to the m50 went pretty smooth thanks to the surplus of documentation available on the web. 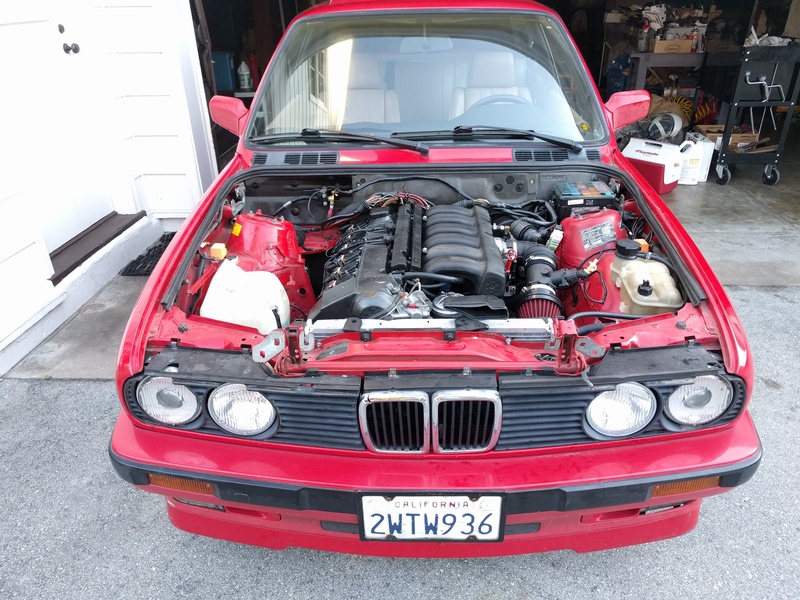 Surprisingly enough, most of the parts used for the swap were leftovers Will and I had accumulated over the years, so the costs were kept to a minimum. You could say the hobby has gone a bit overboard. With the swap tidied up, there was one last obstacle, and that was to get it through the California BAR. No, the car wasn’t going to be a licensed lawyer, but it was going to be evaluated by the state smog referee to be certified as a legal swap. It took two tries and a lot of fretting, but Joey’s 318 earned the magic sticker. To be fair, the journey with the red car has been more labor intensive than I anticipated. After the motor, I refreshed the suspension and brakes since a lot of components were very tired on the car. Don’t get me wrong, the car still has plenty of quirks, but at least the bushings are new and the brakes are in good working order. 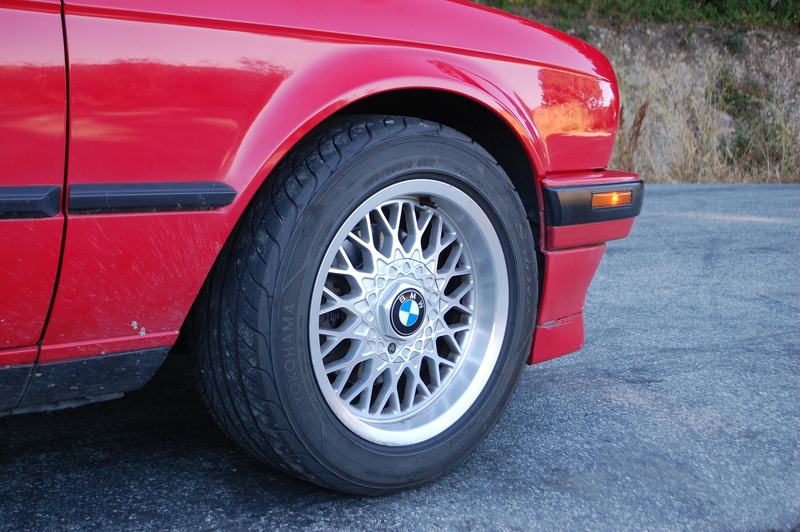 As my friends will often point out my inability to drive a lowered car, the suspension has been kept mild with a set of Bilstein HD shocks and H&R OE Sport springs that drop the car about an inch. For a daily driver it works great. Plenty stiff and lots of clearance, Clarence. 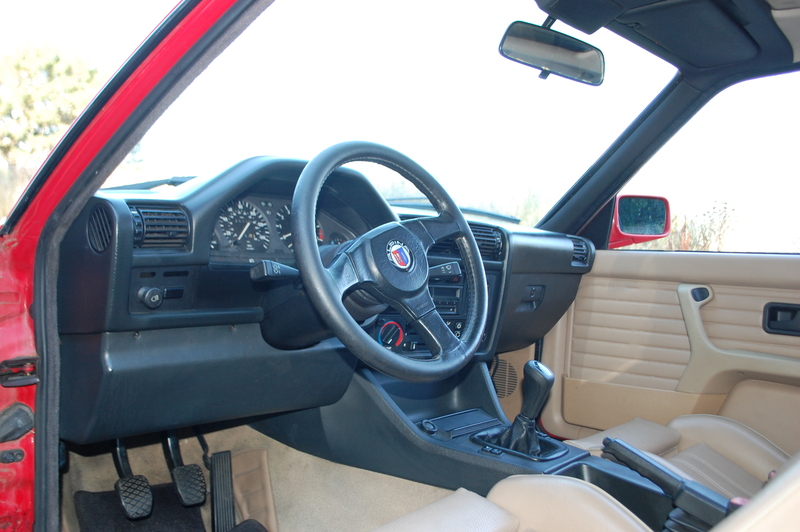 The interior is mostly stock aside from the steering wheel and Euro clock. 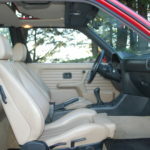 The vinyl sport seats have held up quite well over the years. 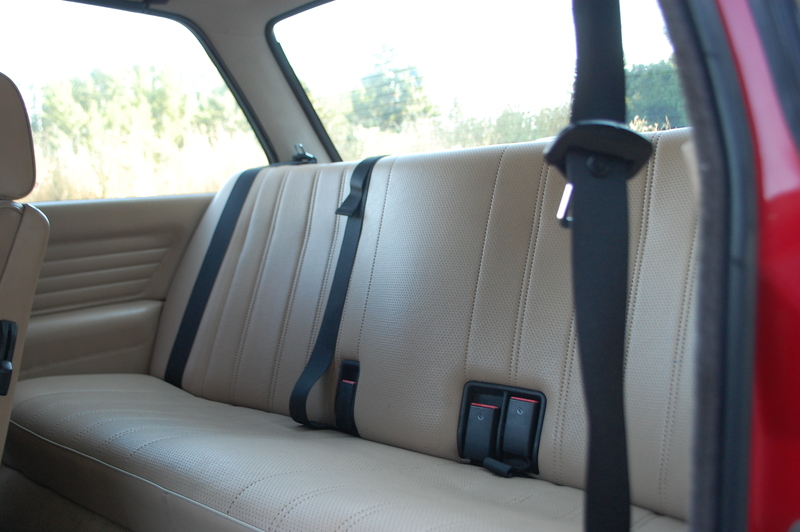 The back seat is more of a novelty than practical these days. 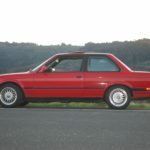 Given recent auction prices of well preserved e30s, some people will be quick to point out that I’ve ruined my 318 by ditching the 4 cylinder. 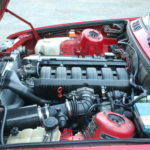 In my overly biased opinion, the driveability and serviceability have been greatly improved thanks to the new engine. 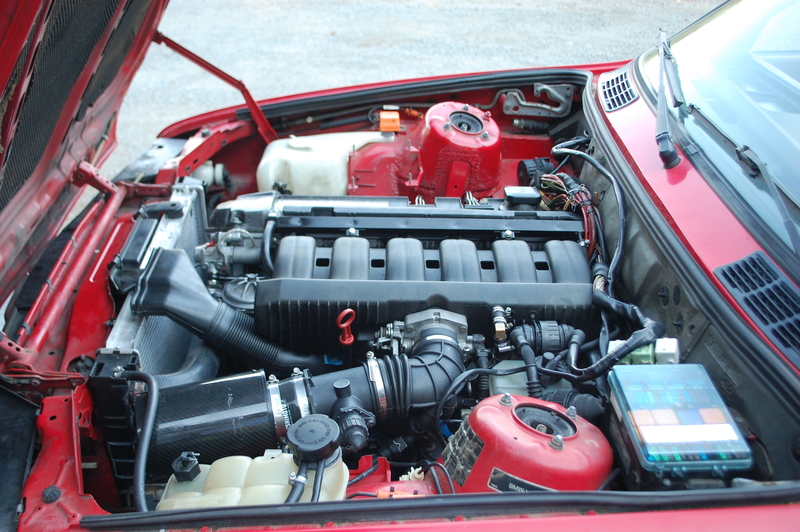 More importantly, everything I’ve done is completely reversible, so if for some reason I wanted to put an m42 back in the car, it can be done in as little as a weekend. 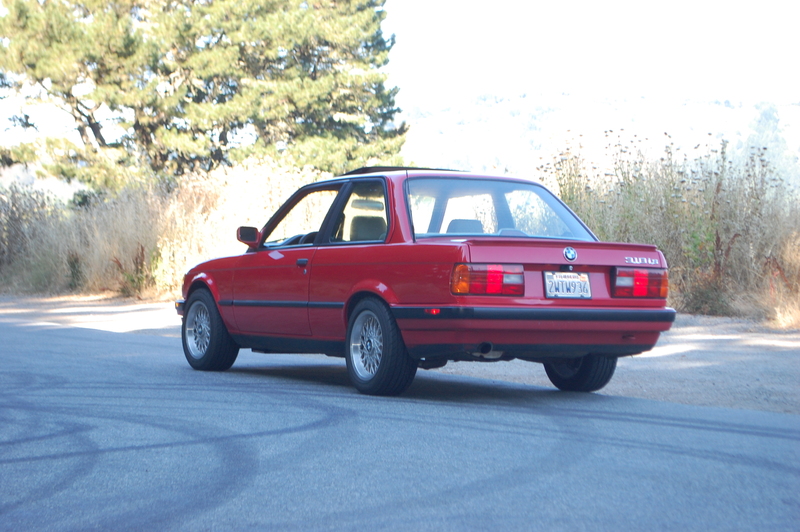 I will admit the 4 cylinder car is more nimble with less weight over the nose, yet even the keyboard commando purists can’t argue with the low end grunt of the m50. The way I see things is that modern updates can really improve reliability. Just ask Jay Leno. 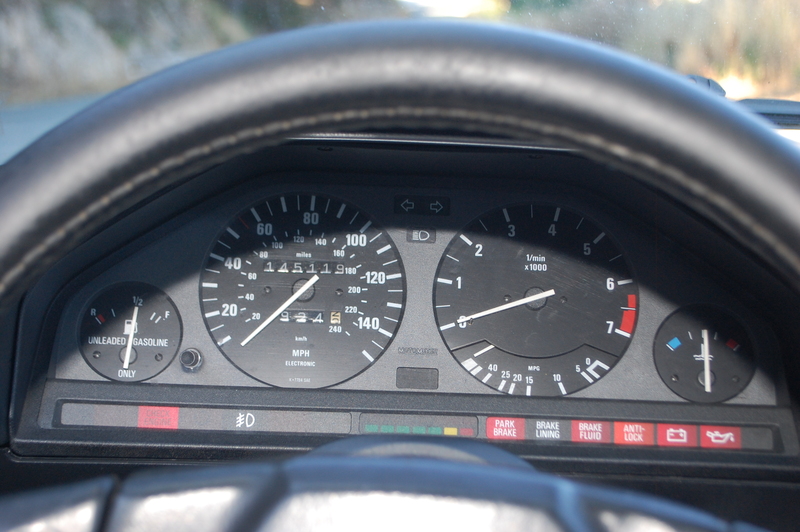 Driving the e30 as a slightly matured owner, I acknowledge that it’s old and can’t do everything like a new car. While not as fashionable as the latest iPhone, it’s still a blast to be behind the wheel and it always stands out from the crowd. 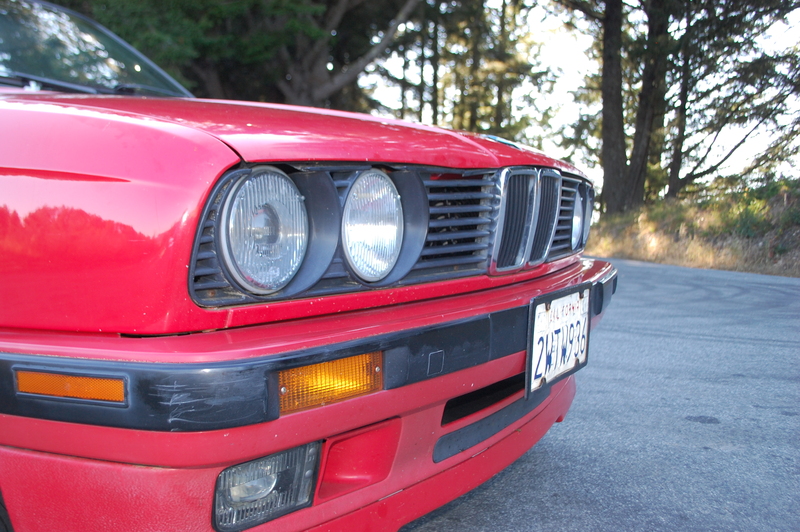 Even with dents and scratches that make Little Red look less than perfect, it shows that this car has led a life all these years. 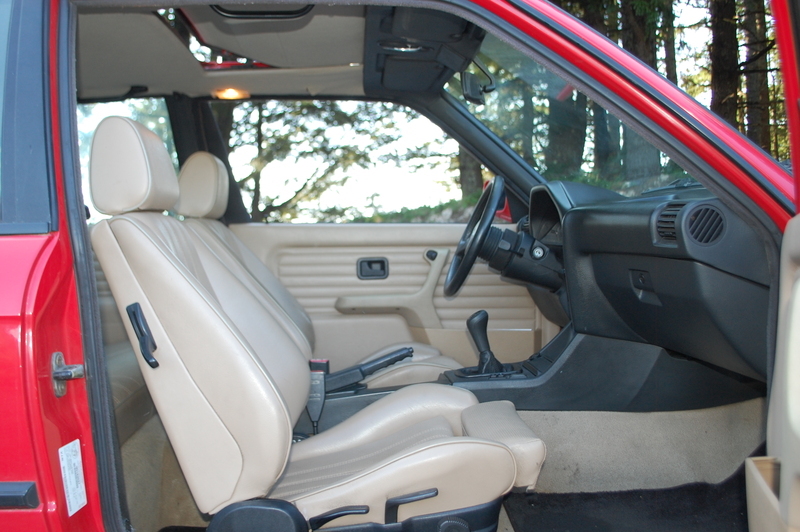 It’s probably assumed that I drive the car because I’m trying to recapture my younger days, but that’s not the case. 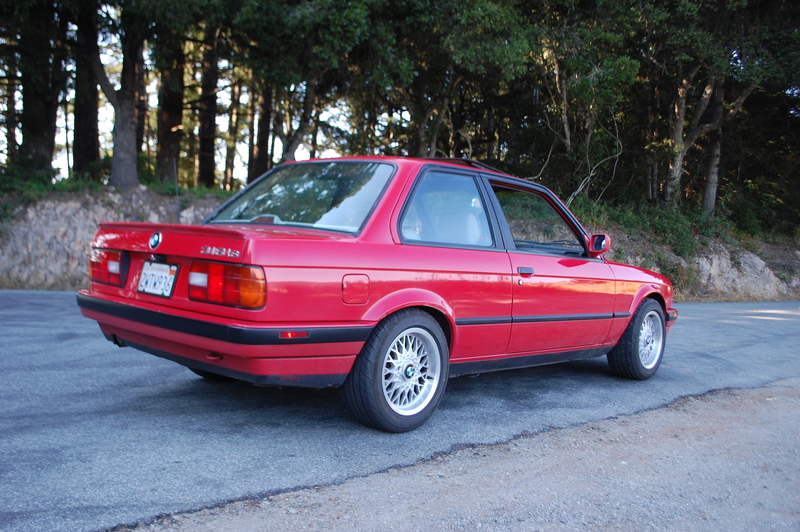 I drive it because I don’t want to forget how I’ve arrived in the present (…and I just like boxy cars). Plenty of bumps and scrapes from a life in San Francisco. Small size means easy to park. Back to where the story began. As time and money permit, I may clean up the cosmetics a bit more to get the car looking extra tidy. 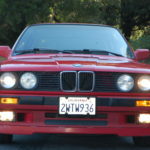 In the meantime however, I simply plan to drive the car and embrace it for what it is, both good and bad. There’s no denying this car has a personality of its own, which keeps me on my toes to say the least. 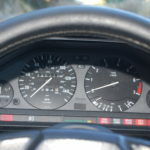 On many occasions I have even threatened to sell the car out of sheer frustration, but deep down I know that I love every single moment of it.